I have moved on from decadent aristocracies (though not without picking up a historical book on life at Versailles) and am now on Dickens' Little Dorrit. It's been a few years since I've read this one, and it seems so new. You just gotta love Mrs. Clennam, right? Just for fun, Conan by Robert E. Howard, L. Sprague de Camp and Lin Carter. Interesting fact: REH and HP Lovecraft were friends. Hmm...that explains some of the weirdness I find in Conan. Naw. Howard was weird on his own. He and HPL were pen-pals, though, yep. Been collecting HPL, Howard and that sort for many years. The Father Brown Omnibus. I'm really liking it. But yes, Chaucer. Nothing like a nice, easy read like "Our counseil was nat longe for to seche; Us thoughte it was noght worth to make it wys, And graunted him withouten more avys, And bad him seye his verdit, as him leste." This is what I am currently reading. It looks like the book has received pretty good remarks. What do you think of it so far? I like it. The chapters are short, easy to read, and profound. I've never been a fan of self-help/motivational books because they are so often anti-Christian philosophically. 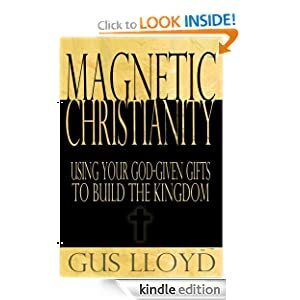 Gus Lloyd, though, has managed to keep the focus on God and from a Catholic perspective, to boot! A win-win! I read a portion of the introduction online and he mentioned the priesthood and not in a negative light. What kind of help does it give you? Help for living a better Christian life? Yes--it's about using one's God-given gifts and talents in His service as laypeople. The focus is on evangelization by example. Attracting people to Christ by being the kind of person people want to know better. In short, being an approachable person. I finally got The Life and Revelations of Saint Gertrude the Great. It's wonderful and chock full of great information. It also shows the historical root of devotions such as the Sacred Heart and the Divine Mercy. For non-devotional reading, I just got Robert K. Massie's biography of Catherine the Great. A bit of a different take from others I've read, so far. I generally agree with him in his view of the Romanovs, and so far this trend continues with Kitty. I am finishing Mere Christianity by C.S. Lewis, and am ready to begin reading Theology and Sanity by Frank Sheed. His first (after 2 books of poetry), PILGRIMS REGRESS , is fun. But not easy to follow.